1.4 Does it fit your mailbox? 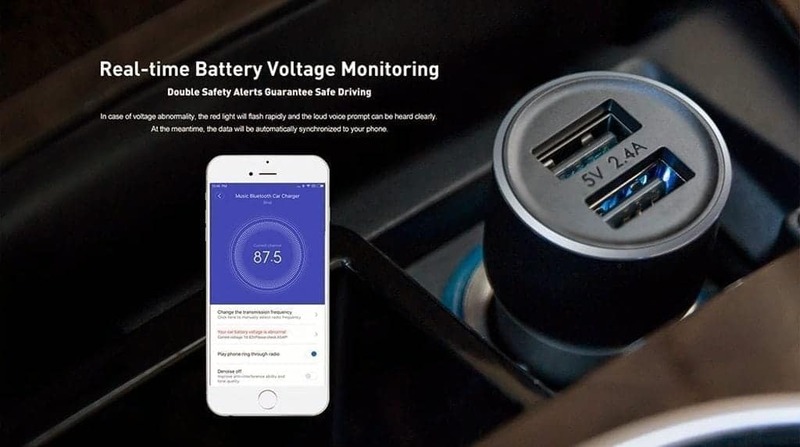 The RoidMi car charger is a gadget that every car needs. Especially when you have a slightly older car like the one my wife has, with an integrated radio-cd player without built-in Bluetooth. This transceiver gives you the opportunity to connect your phone and play music or make/receive calls through your radio. Besides this functionality, this device is a powerful fast-charger. It sounds great, so let’s see if it can live up to its expectations. The design is clean and simple. 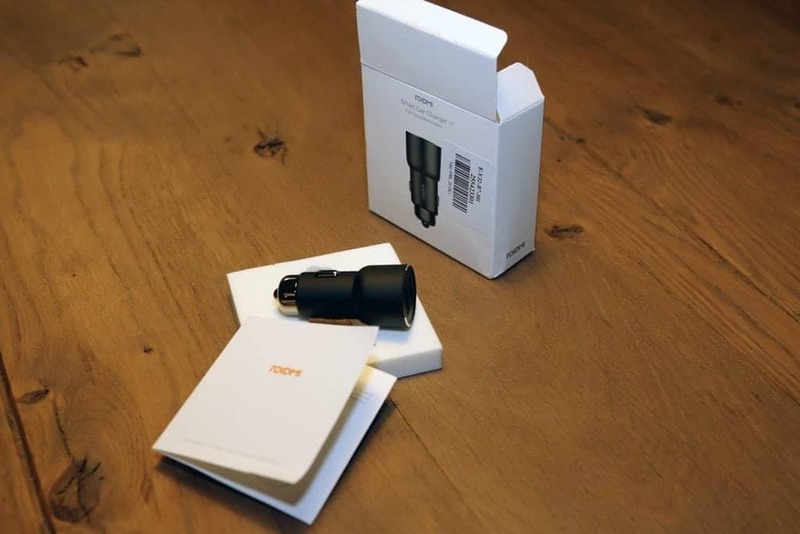 It looks like every USB – car charger that’s available on the market. The feel of the device is solid. 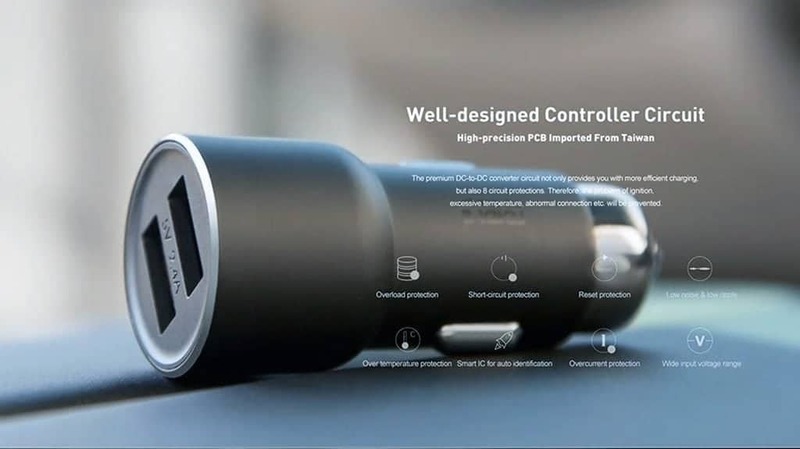 The car charger comes in the color black, which is different from the white look that we are used to with Xiaomi products. This makes the car charger easy to blend in. Check out the photo’s on this page and see for yourself. 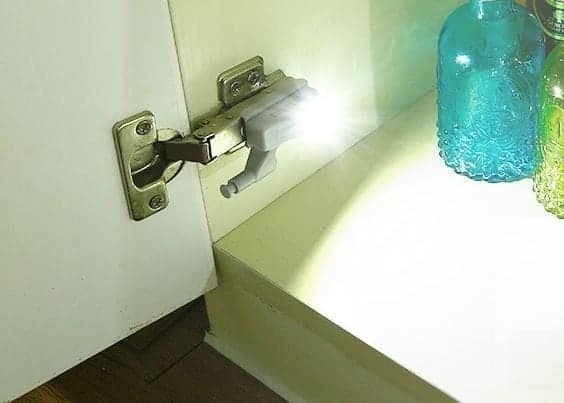 In a few steps, you are able to pair your phone with the charger. 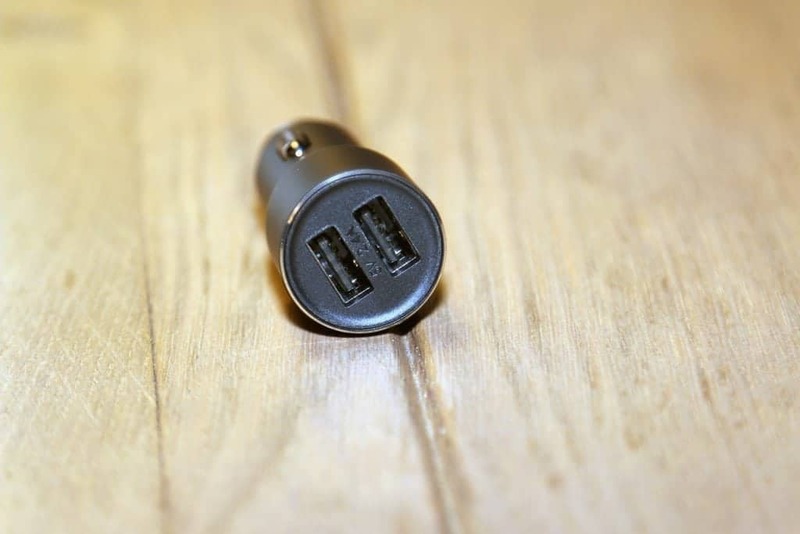 Put the charger in your 12V outlet in your car. Tune your car radio to the default frequency (96.4 FM). On this frequency, the transmitter sends the Bluetooth audio to your car radio. Simple but effective. If you let the charger in your car and the Bluetooth on your phone on, you are ready to go, every time you enter your car. There is an app (RoidMi) which you can download from the app store/play store. With this app, you can change the default frequency in case of white noise on channel 96.4. You can change to any frequency that gives no white noise. The setup was very simple and from now on music and calls are forwarded from your phone to your car radio. The quality of the music is good, but it can happen that you need to change the default frequency in some areas. De RoidMi 3S is equipped with 2 illuminated USB ports. Both can be used to (fast) charge any device. 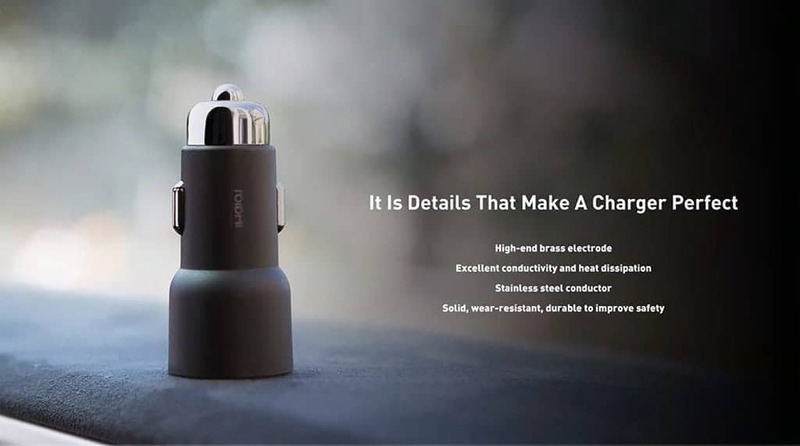 You immediately notice the difference from other car chargers. This one is much and much faster. You have the luxury to charge two devices at the same time because of the dual USB-port. This doesn’t affect the fast charge function, it charges just as fast as when you have plugged-in only a single device. A Car Cassette adapter with a 3.5 mm (Like my wife used before she discovered the RoidMi 3S. Click here for some cheap car cassette adapters. 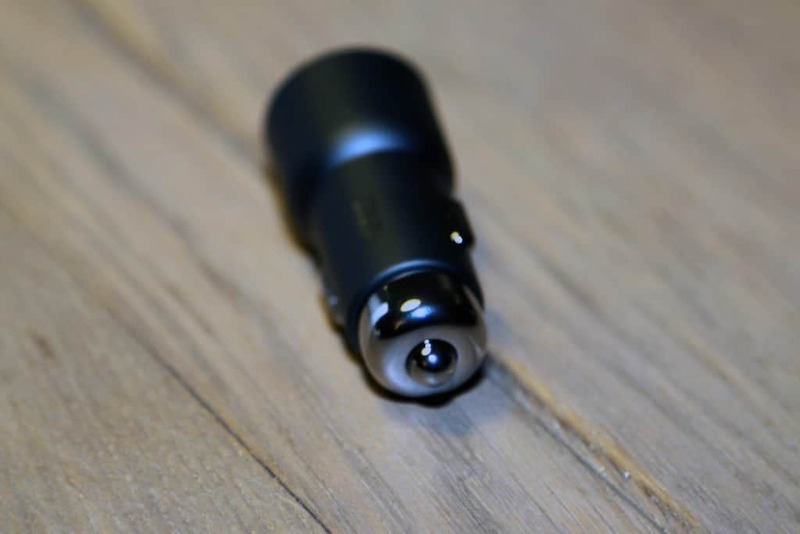 We bought this device from GearBest through this page. The Roidmi 3S is a great device to add Bluetooth music to your car at a good price. You’re not only getting a solid Bluetooth FM transmitter but also a fast dual USB charger. This makes the Roidmi 3S a good purchase for anyone looking for a good bluetooth to FM streamer, a fast USB charger or both.